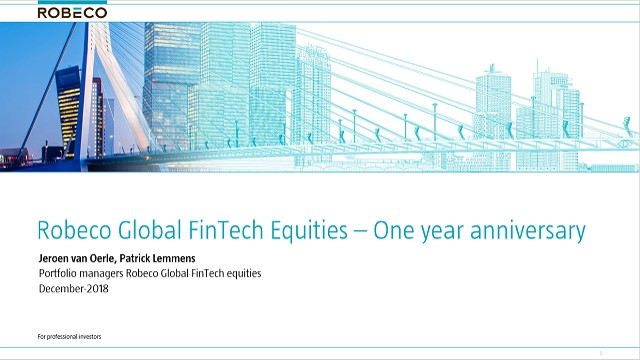 One year ago we launched the first Fintech fund. Since then, the fund has grown enormously in assets and also the performance exceeded our expectations. We have invited the managers of the fund to explain this unique opportunity to monetize digitization in the financial ecosystem. In this webinar will bring together two of our leading investment teams in the Credit markets, the fundamental Global Credit and the Multi-Factor Credit teams, for an engaging and interactive discussion on the sector. We’ll initially cover our macro views to frame the conversation and then we will take a look at how the different teams address portfolio construction and implementation, credit selection, correlation, sector and geographic weights. The financial sector is widely considered to be well-positioned relative to others to benefit from a shift of major central banks monetary policies and can be seen as a hedge against higher rates. Our senior portfolio managers will share their views on how best to identify value and opportunity in both credit and equity allocations at this stage of the economic cycle.